How many owls are there? Owls counting. Photo wallpaper - How many owls are there? Owls counting. 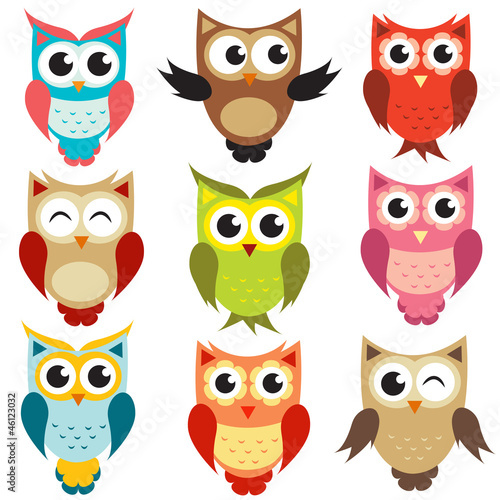 One, two, three – how many owls are there? Can you re-crate all of the face expressions? Show it and have fun. Now it’s time for colour play! Who will name more? Ask one of the owls, maybe it will give you some hints! The photo wallpaper with happy animals will enliven every child’s room.